This is for one of my applications, running on Heroku. It gives you real-time updates; these graphs actually change as you watch them. 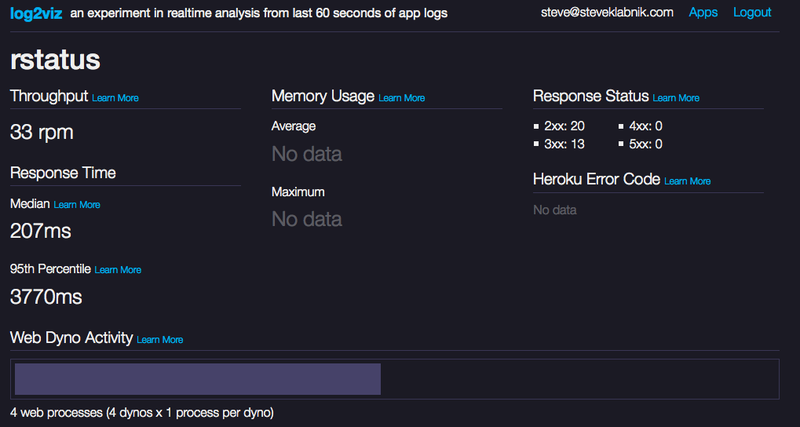 It’s pretty easy to use the version Heroku has up, located at https://log2viz.herokuapp.com/, I was already logged into my Heroku account, and all my apps were there. Pretty easy! Now you have your own copy running on an app. For more details, check out the official blog post over on Heroku’s blog: it explains more details about how it actually works.